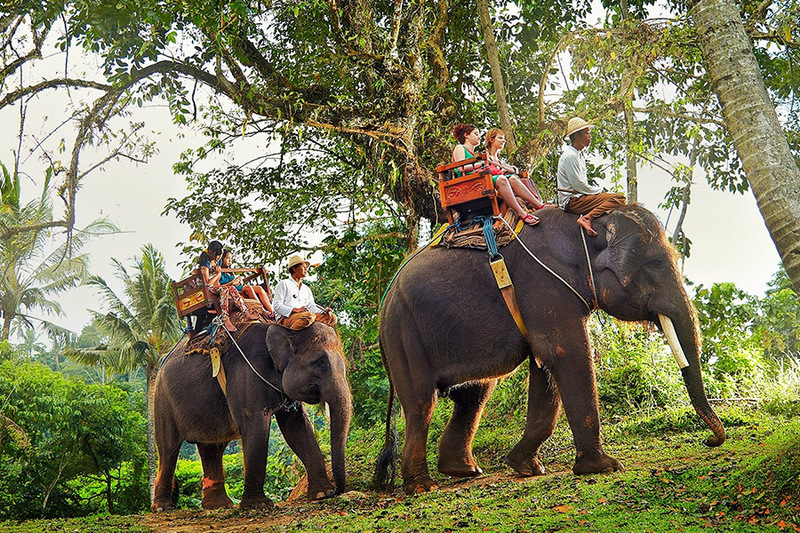 Bali Elephant Ride and Ubud Tour is a Bali Combination Tour package to enjoy riding an elephant at Bakas Elephant Parks and visit tourist destination in Ubud village. 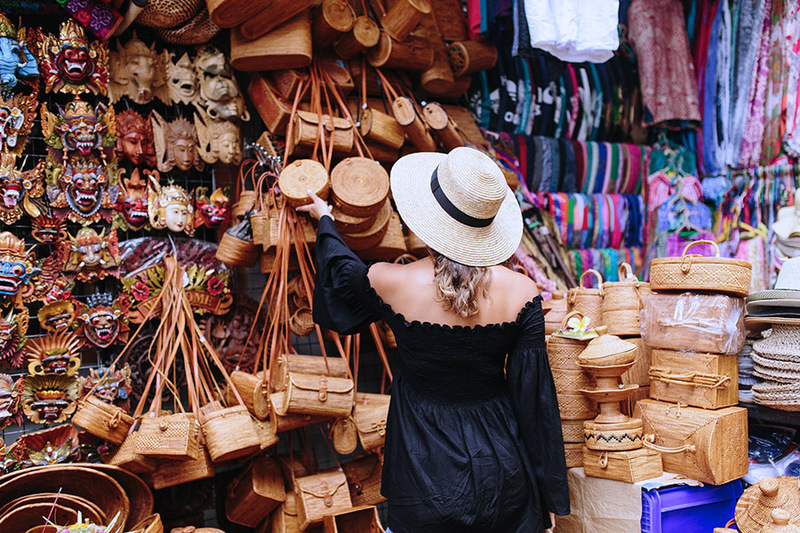 the combination of an elephant ride to visit the village of Ubud is an interesting combination tour, the tour aims to provide a different experience during a holiday in Bali. Tourism that will be visited during the combination ride elephants and ubud tour is to climb the elephant for 30 minutes at Bakas elephant park, and after that you will enjoy lunch at the elephant park, after the lunch the tour continues to the tourist attraction next namely ubud Tegenungan waterfall is waterfall tourism in Ubud area, and visit Ubud Monkey Forest is small forest lies at center of ubud village by dwell some group monkeys and beautiful temple inside the forest and visiting Ubud palace is Traditional house of Ubud King long time ago, and the last we visit Ubud Market is traditional market in Ubud village. 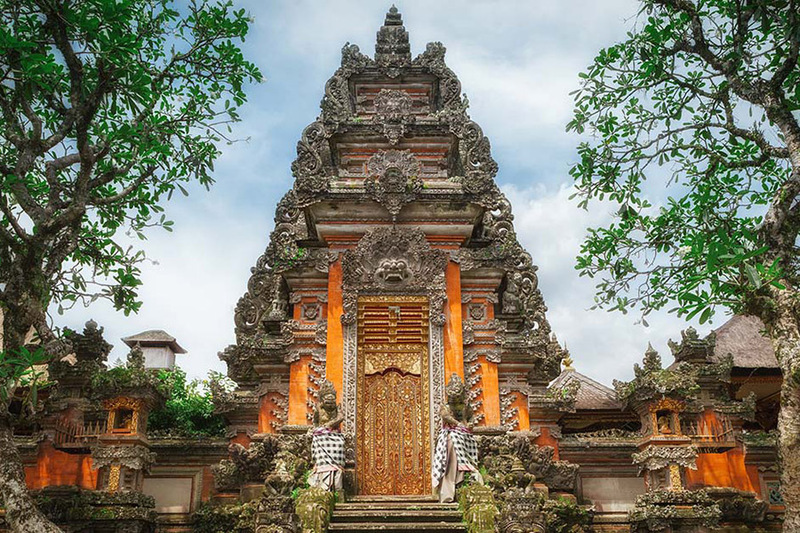 below is the short description places of interest you will visit during this exciting Bali Elephant Rce and Ubud Village Tour. 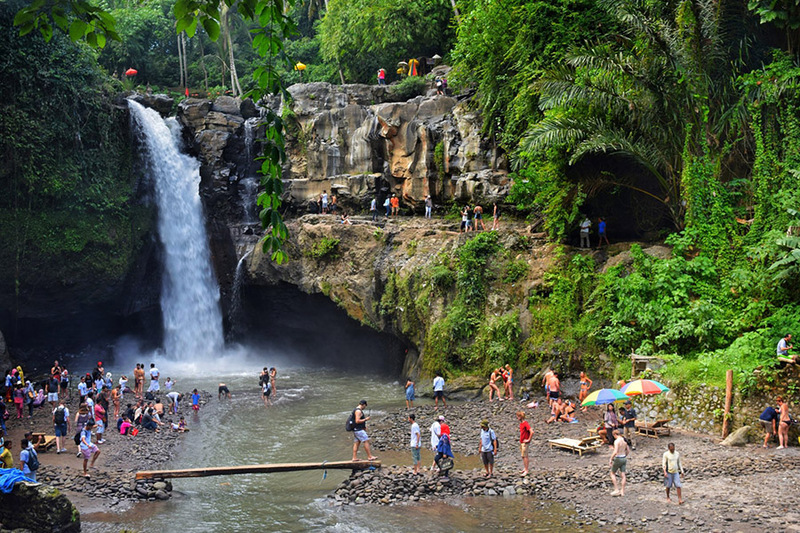 tegenungan waterfall is a waterfall in the Ubud area newly used as tourist attraction, is very beautiful waterfall with clear water and you can swim in these waterfalls. in addition to beautiful waterfalls, natural scenery around is also very beautiful. If you want to swim here, please bring a towel, because we do not provide towels. 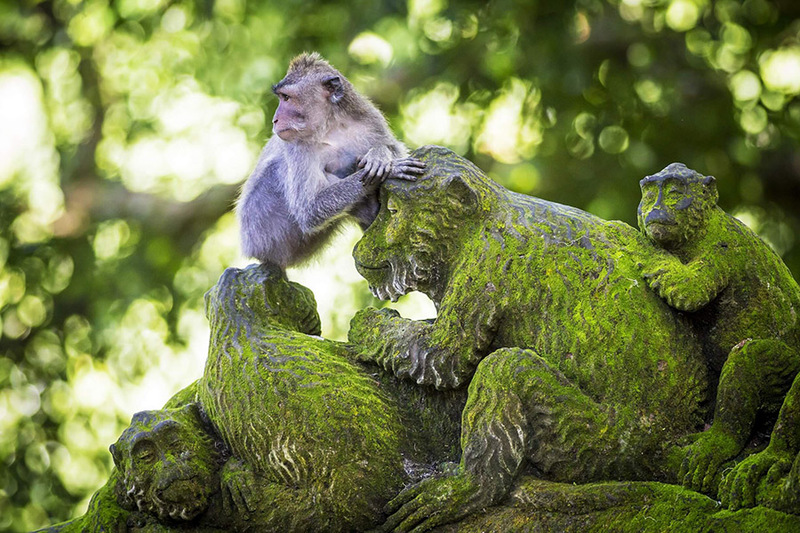 Ubud Monkey Forest is a tourist attraction in the area of Ubud, tourism is very popular among the tourists, ubud monkey forest is a small forest inhabited by monkeys and there are several temples in it. This place also know as wisata mandala wanara wana sanctuary, with green tree and cool atmosphere make this place is worth to visit. Ubud market is the largest market in the village of Ubud, the location is in front of the Ubud palace, this market as a traditional market by selling various living necessities and souvenirs, this market divided in two bulding, one for the market for traditional local and other one is for the market souvenirs for foreign guests.